Triathlon has been a part of Alex's life since she was seven years old, when she participated in her first Kids of Steel Triathlon. 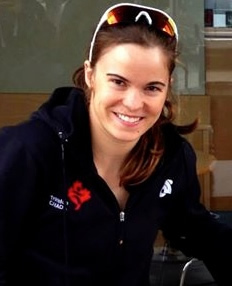 When she graduated from high school in 2007, her focus shifted to Triathlon, and she moved to Victoria to train at the National Triathlon Centre, and study Kinesiology at the University of Victoria. Following her graduation in 2014 with a BSc Honours in Kinesiology, Alex moved to Guelph to pursue her high performance goals leading into the 2016 Rio Olympics. Alex has had the opportunity to work with a variety of well renowned coaches and international squads, and brings a wealth of triathlon experience to her coaching position. Alex has coached various triathlon clinics for kids and adults, as well as technical swim sessions. She has a passion for exercise physiology, and is currently pursuing a PhD in Exercise Physiology at the University of Guelph.